The API 312 50th Anniversary Edition retains the same circuit as the original 312, but packages it into a modern 500 Series module. Walker's 312 originally served as the mic input amp for all of the early API consoles in the 1970s. 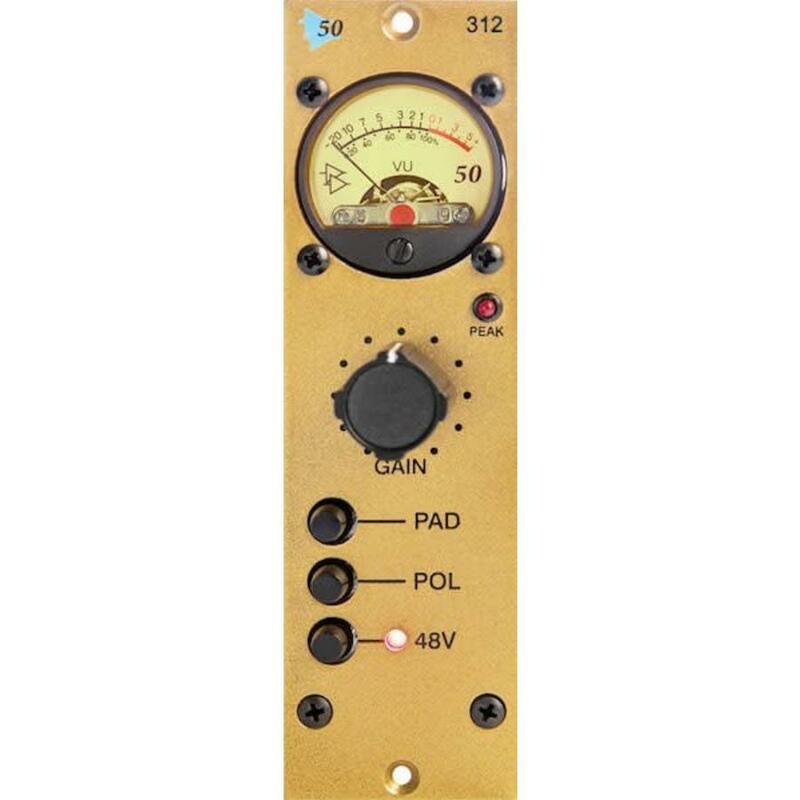 While Brent Averill and other engineers would later repurpose original 312 cards or recreate them in rack enclosures, this 50th anniversary model marks the first time that API has placed the 312 in a 500 Series module. It includes a vintage-style analog VU meter as well as API's 2516 Input Transformer. Only 150 anniversary 312 modules will be built.